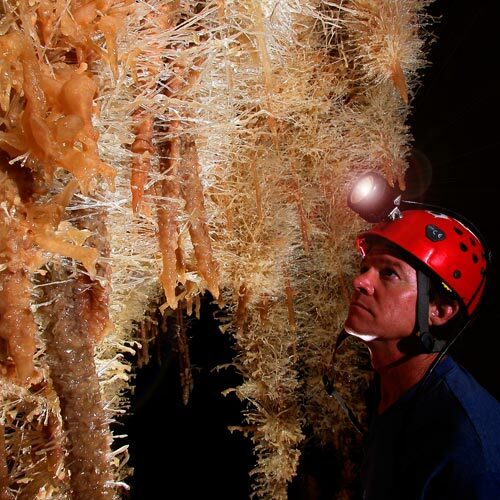 Texas Cave Trail | Experience the finest caves in Texas and earn a free tee shirt! One Passport. Four Caves. Unforgettable. Pick up your passport at any of the 4 caves. Or print your own. Obtain a cave-specific passport stamp at each cave you visit. At the last cave, exchange your completed passport for your free t-shirt. 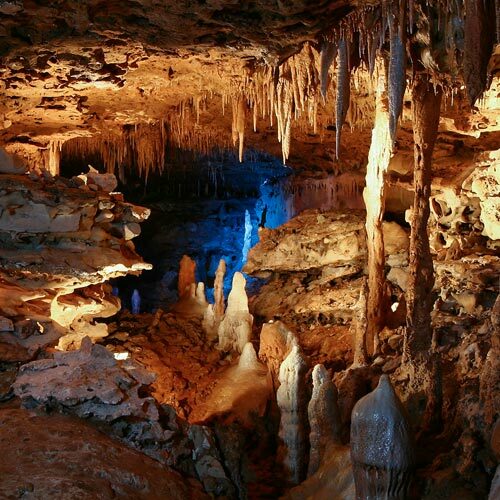 Located near San Antonio, Natural Bridge Caverns is the largest commercially operated cavern in Texas. 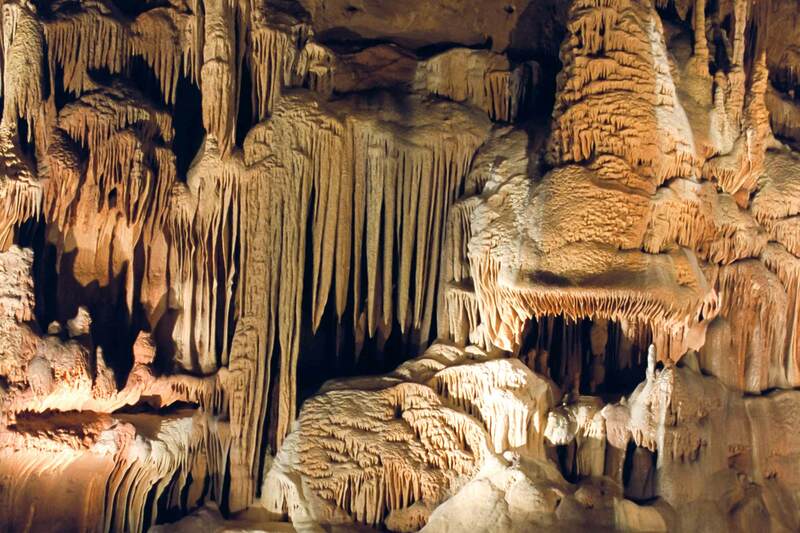 With 'beauty that cannot be exaggerated even by a Texan', the Caverns of Sonora are located just outside of Sonora, Texas. 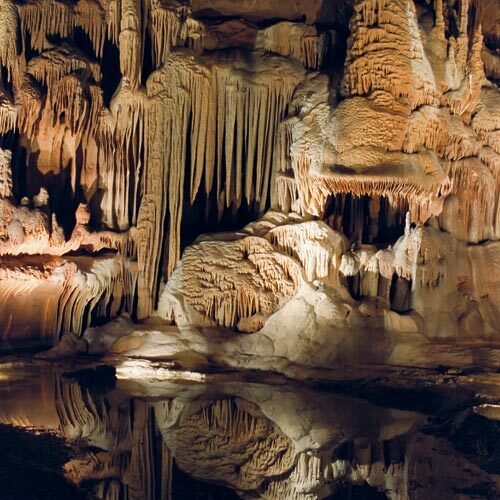 The 7th longest cave in Texas, Cave Without a Name sits just outside of Boerne, Texas and ties into the underground Guadalupe River. 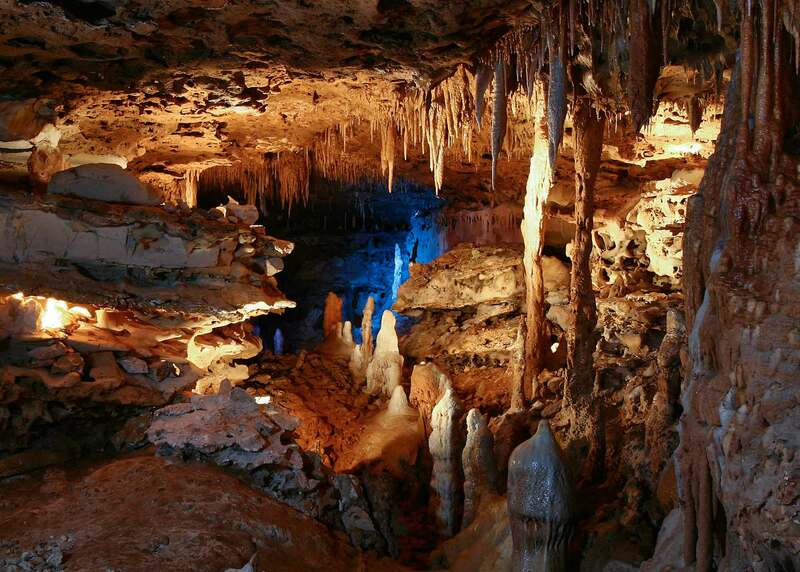 Discovered during the construction of Interstate 35, Inner Space Cavern is located in Georgetown, Texas. The first cave you visit will provide your passport. There is one spot for each cave, to be stamped during your visit to that cave. Each person needs their own passport. To print or view the passport, please click here. When you visit the last cave on your passport, simply exchange your completed passport for your free tee shirt. 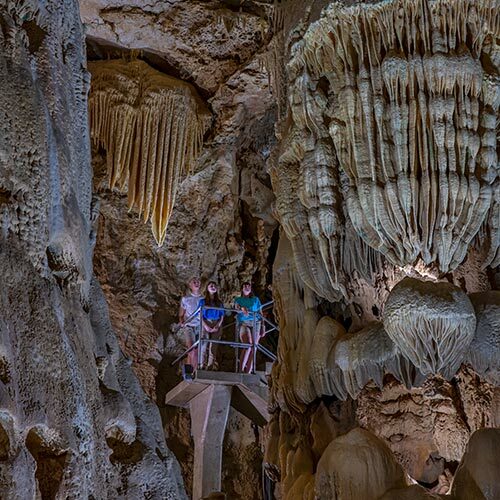 Texas is vast and so are its beautiful caverns and caves. 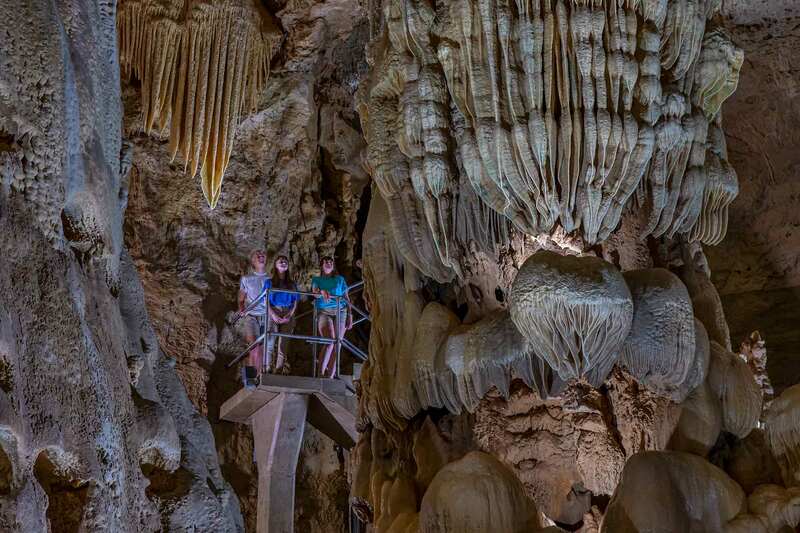 It would be impossible to view all four caves in a single day. Why rush though? 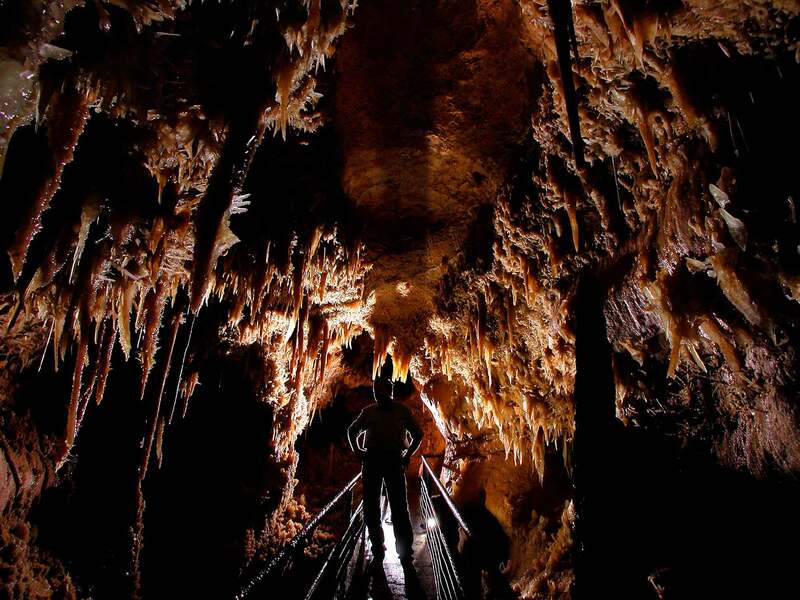 Thousands of years in the making, Texas' underground worlds await you whether it's a weekend trip or a year-long itinerary. Passports must be completed within one year of your start date (your visit to the first cave on your passport) to be valid. The passport must be completed and exchanged for your free tee shirt within one year of the start date recorded on your passport. The extent of true connectivity is not known for all cave systems in Texas. The caves that comprise the Texas Cave Trail all offer their own unique beauty. Does each person need a passport? The Texas Cave Trail is for individuals and families, but remember each person will need their own passport. Tickets must be purchased at each cave for each child regardless of age. The Texas Cave Trail is intended for families and individuals and is not available for those receiving group rates.